Enjoy great fun with family/friends and…Pikachu! Join us in this exclusive bowling event. 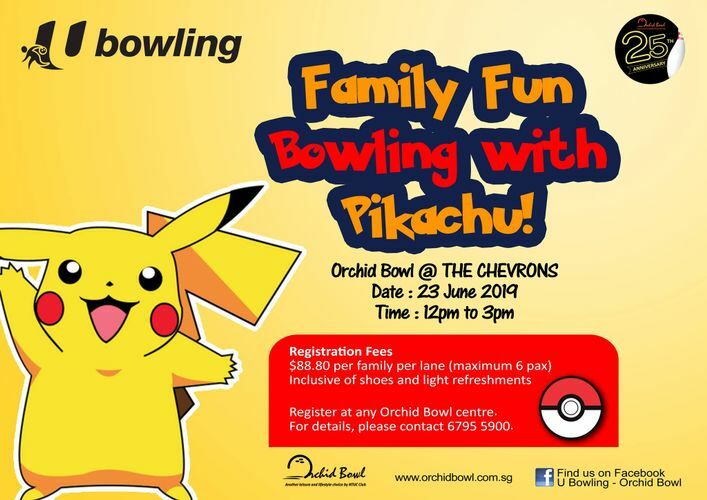 Register at any Orchid Bowl centre now! - 3pm - Pikachu goes home!! Payment must be made before the commencement of the event.